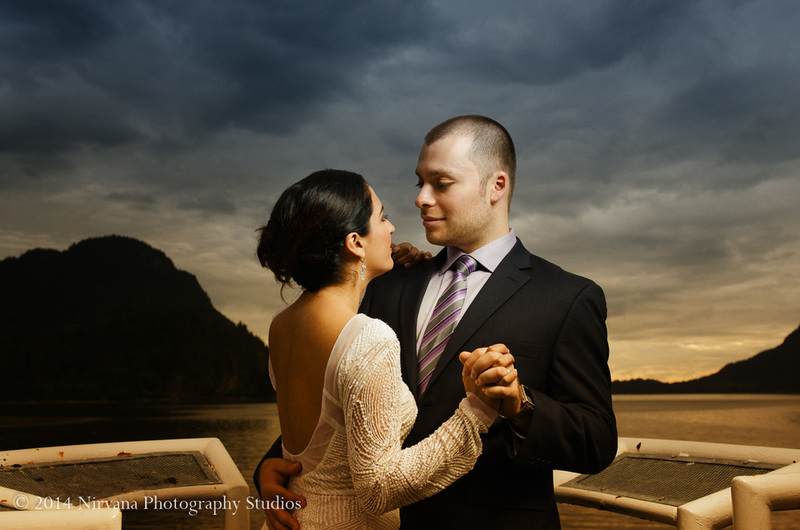 This is Maria and Angelo, our newly-wed Chilean Vancouverite couple. After officially tying the knot in Chile, they continue calling Vancouver BC their home sweet home. In order to represent their love for Vancouver, they desired some Wedding pictures to be shot locally in the Lower Mainland! Maria and Angelo were such troopers posing naturally in the rain. It’s like the foundation of love created an imaginary umbrella over them, protecting them from the weather! Making the best of the last minute environmental change, a few shots were done by the train tracks symbolizing how far they have come along together as a couple. On our way back, the rain cleared up and the sky flared up in bright reds, accompanied with dark clouds. The opportunity looked amazing and too beautiful to pass up so we pulled off the Highway and backtracked about 10 minutes to Whytecliff Park where we got the money shot of the day! Driving all through Vancouver, to the beach by English Bay, we then added some photos with the Vancouver Skyline in the background to truly show off our beautiful city. After a long day of a photo shoot, we had captured some real money shots out of it. 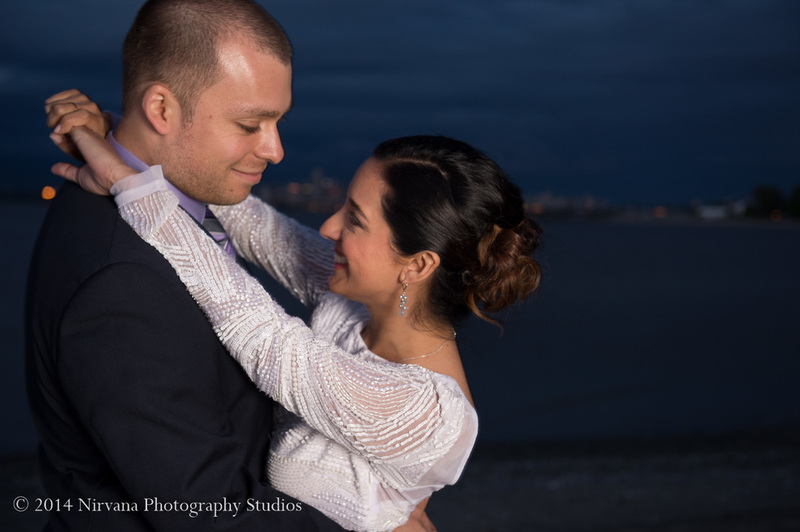 The results were absolutely stunning after digital editing and wall art printing. Can’t wait to see them hanging on the walls of their home! Congratulations, Maria and Angelo! What represents Vancouver more than the ocean, mountains, and nature? The two of you have come so long… keep chugging on, Love-birds! Maria and Angelo gazing into each other’s eyes at Whytecliff Park. 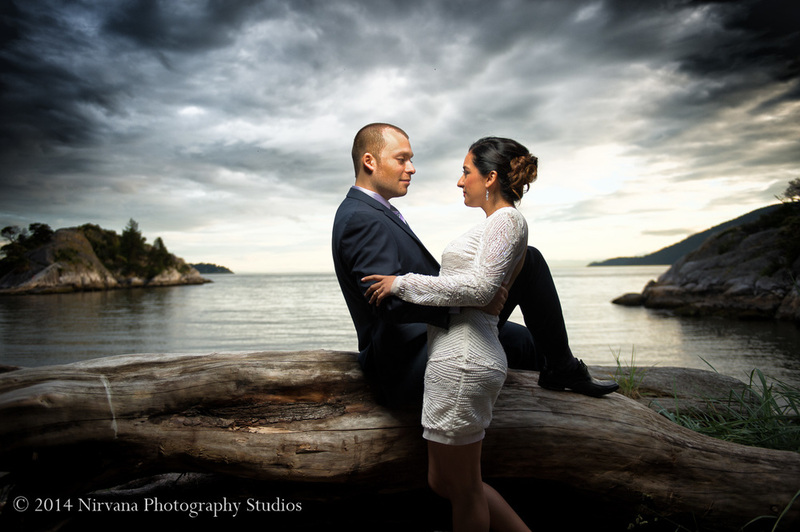 Along the shores of English Bay, Maria and Angelo share their moment together as a newly-wed Chilean-Canadian couple. Such a pleasure to be working with these two! It’s so hard not to get pulled into the look in their eyes for each other… Congratulations!